This week we're pleased to present the picks of author and magazine editor Gary Stephen Ross (Stung); YA author and Penguin Canada marketing and publicity manager, Vikki VanSickle (Summer Days, Starry Nights); 2014 Governor General's Poetry Award finalist Garth Martens (Prologue for the Age of Consequence); playwright, novelist, and actor Sean Dixon (A God in Need of Help); and author and former president of Canada's national association of science fiction and fantasy authors, Steve Stanton (The Bloodlight Chronicles). *Editor’s note: That company was Macfarlane, Walter & Ross, a highly respected nonfiction publishing house (1988–2003) founded by John Macfarlane (no relation to David), Jan Walter, and Gary Stephen Ross. 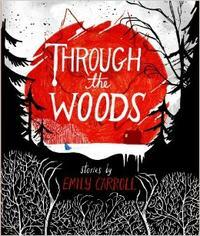 "One of the gems of this past season for me was Through the Woods, a collection of graphic short stories by Canadian illustrator Emily Carroll. Startlingly unique and yet also folkloric, this collection has become an instant favourite of mine and a classic I will return to each year. Carroll mixes classic horror story elements in a fresh way, creating her own original stories that stand up to classics by Poe or Washington Irving. Her pacing is perfect, rat-a-tat-tating away in time with Poe's Tell-tale heart. A muted, shadowy pallet with inky slashes of black and careful use of red heightens the atmosphere and provides the perfect setting for a slew of ghosts and monsters to stalk their victims. Despite some fantastic otherworldly villains, these stories are really about the darker parts of humanity, touching on jealousy, possession, and betrayal. A fantastic addition to any Canadian bookshelf, but particularly for those who remember being deliciously thrilled by In a Dark Dark Room as a child." Vikki VanSickle is the author of the acclaimed Clarissa books, including Words That Start With B, Love is a Four-Letter Word, and Days That End in Y. Her most recent book, Summer Days, Starry Nights has been called "Summer reading at its best" and is shortlisted for the 2015 Red Maple Award. She is a popular children's lit blogger and is frequently invited to speak about kids' books for radio panels, conferences, as Lainey Gossip's YA Mentor. Currently she balances writing with her duties as the marketing and publicity manager for young readers' at Penguin Canada. Vikki can be found on Twitter at @vikkivansickle. 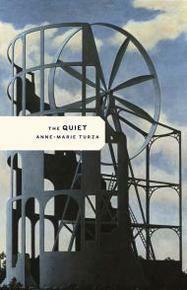 "Anne-Marie Turza's The Quiet is simply stunning. These poems are fabulist, little clocks. 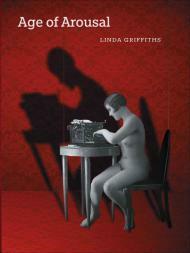 Anyone who relishes language, anyone who delights in the utmost strange, will enjoy this book. Whether the high-walled city, or unsettling domestic illuminations, or the catalogue of impossible animals such as the 'microscopic' water bear, or visitations of Satie, Satchel Paige, or Tolstoy's Levin, or wintry airy places where 'ten white housecats' are harnessed to a bobsled, Turza deftly wheels in heady surprises. And there is so much air, so much quiet, around the work: these are fleet poems that slip by unlaboriously, though so evidently the result of a disciplined and slightly mad attention. Readers of Italo Calvino's Invisible Cities or Charles Simic's The World Doesn't End will love The Quiet, as I do. It seems a contradiction to describe this work as both thrilling and meditative, but it is, it is. This is a book that begs to be reread: '—And its sound? / —A nerve ran through it, like the long nerve in the eyetooth of a cat. / —Its sound was pointed? / —In the ear's direction. Yes.'" Garth Martens won the 2011 Bronwen Wallace Award for Emerging Writers. His first book, Prologue for the Age of Consequence, is a finalist for the 2014 Governor General's Award in Poetry. For nine years he has worked in large-scale commercial construction. In 2014, he wrote and performed the libretto for Pasajes, an international flamenco production. You can find him on Twitter at @GarthMartens. "Linda Griffiths died earlier this month. It seems she was best known for a work she wrote and performed in the seventies called Maggie and Pierre, in which she played those two Trudeaus. In spontaneous eulogies I read on Facebook, there were several that cited this play as cause for undying fandom, but they were often written by people who had no clue that she went on to surpass this early work over and over and over again. It makes me mad and sad, this story about one of Canada's beloved playwrights, one of Canada's treasures, one of Canada's great wits and wise ones. Sometimes it seems the only art form that has lived beyond the grand Canadian experiment in nation-building is the novel, while other art forms, including theatre, have fallen by the wayside, marginalized in what's left of a national conversation mostly devoted to Jian Ghomeshi. Maggie and Pierre was an early work. Age of Arousal is a masterpiece. It uses the theatrical conceit of the aside to reveal the swift private thoughts of a collection of Victorian prudes and razor-sharp suffragettes. It's a multicast triumph, hugely entertaining, and an inspiration to those who would rather not believe that artists do their best work when they're young." Sean Dixon is a playwright, novelist and actor. He co-founded the influential Winnipeg theatre collective primus, providing the narratives for their performances Dog Day, Alkoremmi and The Night Room. His most recent play, A God in Need of Help (2014), was nominated for a Governor General's Literary Award for Drama. Sean’s first novel, The Girls Who Saw Everything, was named one of the Best Books of 2007 by Quill & Quire. With his second novel, The Many Revenges of Kip Flynn (2011), he has been called ‘the true inheritor of [Gwendolyn] MacEwen’s mythopoeic legacy.’ He is also the author of two books for young readers, The Feathered Cloak and The Winter Drey. He is on Twitter @sean_dixon. 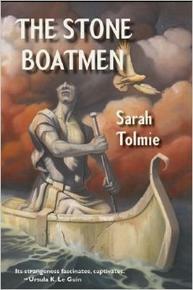 "This debut fantasy novel by accomplished Canadian poet and medievalist Sarah Tolmie is a lyrical and literary masterwork of imagination. With precision of language and a sophisticated, introspective voice, Tolmie links together four novellas from the viewpoints of four central characters—a prince, a poet, an adventurer and a mystical seer—generation by generation through decades of epic family history in privileged royal courts. In their primitive, non-technological world, they live under the enigmatic shadow of lost ancestral wisdom preserved only by elaborate ceremonies, forgotten religion and the mysterious stone boatmen left behind as relics in the harbours. Three colonies separated by sea have evolved vastly different cultures, which mesh together with wonder as they are reunited by the rediscovery of shipbuilding. 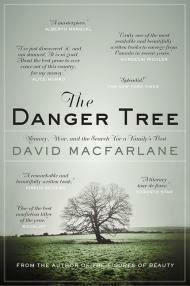 This philosophical novel invites careful reading and contemplation."